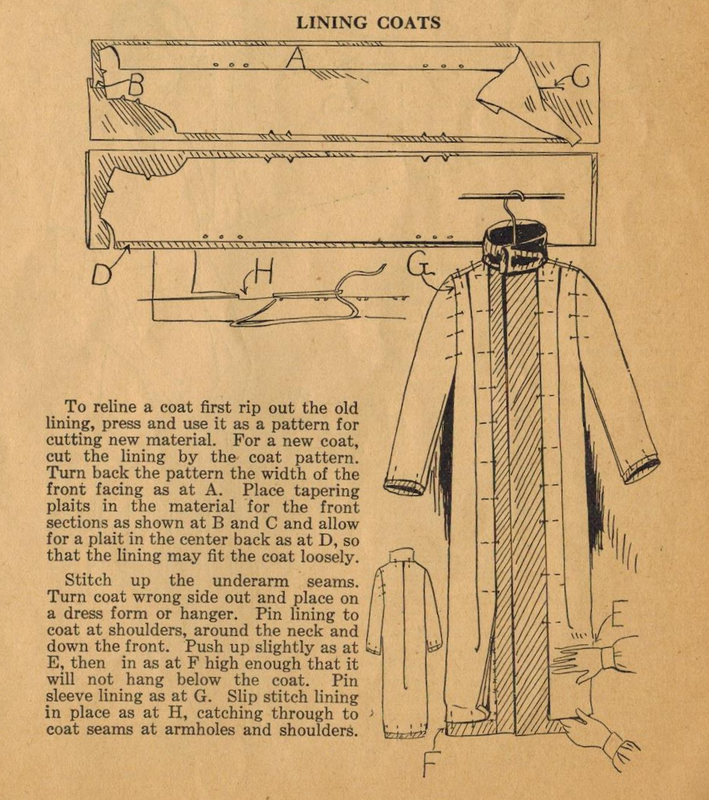 We can infer from this post by Ruth Wyeth Spears that folks in the 1920s folks kept their coats to the point of wearing out the lining. We can also infer that pattern pieces for linings were not typically included in a pattern (which is true for patterns well into the 1940s and even the 1950s). She makes it sound so simple. :D Another winning tip from the 1920s! With no prior garment-making experience or understanding of the fundamental principles of how to do it, I have to admit, it was an overly ambitious undertaking - and a complete fiasco.